Flyweight contender Virginia Fuchs had her night of relentless technical execution and determination that led to the 2-1 unseating of the 2012 bronze medalist Marlen Esparza. Reigning Olympic gold medalist in the middleweight division Claressa Shields had her 3-0 night, fending off her challenger, Tika Hemingway, who’d loudly proclaimed that she’d take it from her. Shields had other plans and after outboxing Hemingway with an impressive performance, became the United States only two-time female boxing Olympian. And lightweight upstart, 18-year-old Jajaira Gonzales, pushed the envelope in her win over Mikaela Mayer to make it one a piece. Today’s box-off will decide which of these two warriors will represent the United States in the Olympic qualifiers next year. Both fighters bring a lot to the contest. Mayer has strong technical abilities and with her longer reach can box tall, whereas Gonzalez brings aggression, pressure and fast hands that seem relentless. For all her youth, Gonzales has won impressive international titles readily matching Mayer’s competitive fire. Stand ready to applaud them all! *This is Mikaela Mayer’s first loss. Championship box-off between Jajaira Gonzalez and Mikaela Mayer will take place at 4:00 PM on Sunday, November 1 at the Cook Convention Center South Hall. Each of them has endured a loss. Each of them has fought through that loss and will meet the winner of that contest in the ring on Saturday night for a chance to come away as a prospective Olympian poised to compete on the world stage for the opportunity for a final berth at the 2016 Summer Games in Rio. Each battle for the right to fight in the finals was hard-fought and in some cases, fraught with history as veterans who have encountered each other before in the squared circle knew it was all down to what happens in four rounds of action. For the reigning Olympic flyweight bronze medalist, Marlen Esparza, it meant redemption and being on a track for what seemed inevitable at the beginning of the week before she was stopped cold by Virginia Fuchs. In defeating, Christina Cruz, a fighter’s fighter who fought a brilliant outsider’s game with angles and heart, Esparza is now pumped up to rewrite the script with Fuchs and come away with what must feel like her rightful place. 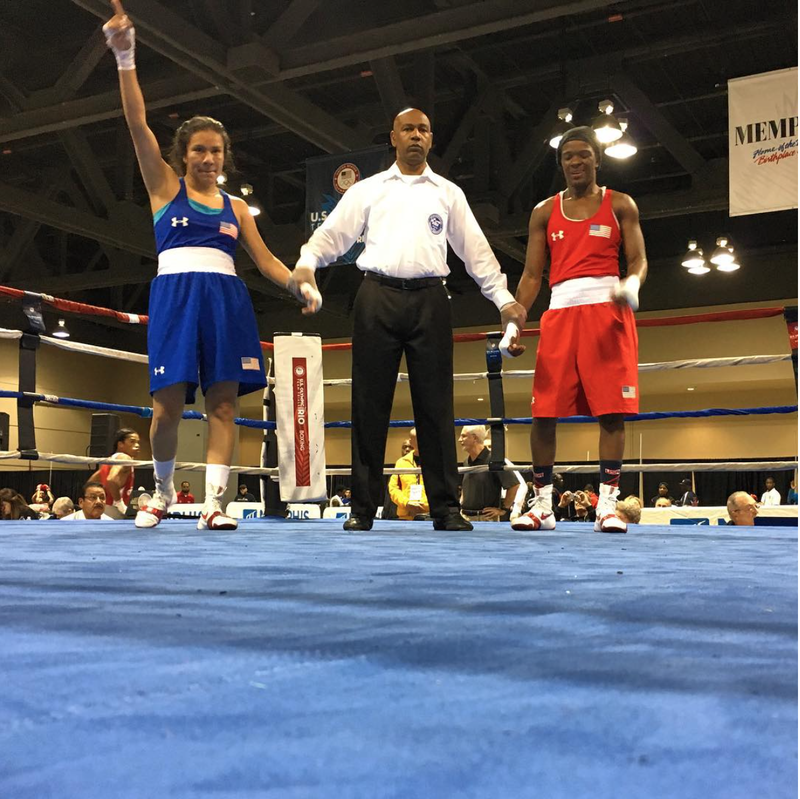 In the lightweight division, the 18-year-old, punches-in-bunches phenom, Jajaira Gonzalez, who’d fought Mikaela Mayer to a 2-1 split decision in their battle, came away victorious over 2014 World Championship bronze medalist, and three-time USA Boxing National Champion, Tiara Brown. 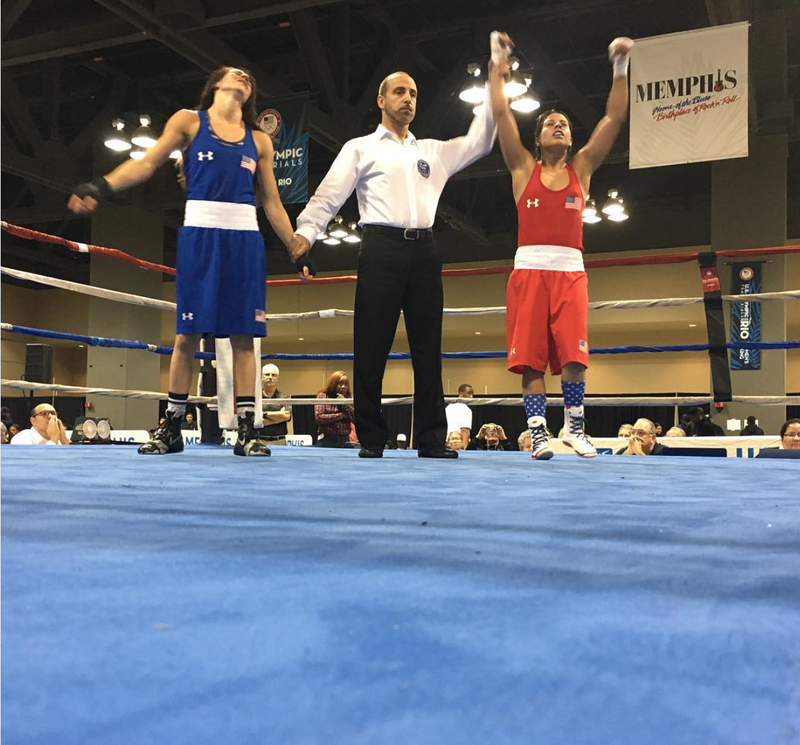 Gonzalez, a Junior and Youth World Champion, used aggression and pressure to counter Brown’s veteran technical ring savvy in carving out the 3-0 decision. For former champion Tika Hemingway, contesting for a berth in the finals against reigning Olympic gold medalist Claressa Shields, there was an inevitability to her win over Raquel Miller, even though the battle was closely contested with a lot of back and forth in momentum and opportunities to be exploited. No matter who fights Hemingway, there are always costs. She is hard-hitting and physical in the ring–and while she’s lost once to Shields in the Olympic Trials, she’ll fight just as hard tonight for a chance to win. 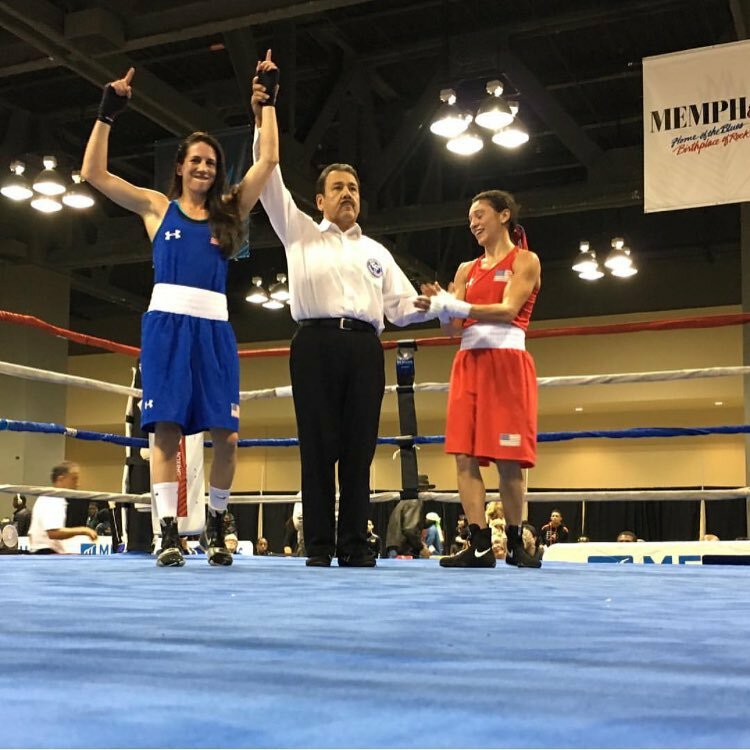 Win or lose, the 24 women who have come to Memphis to fight for a place at the Olympics are each momentous in their drive, determination and skills as boxers. It is no easy feat to compete at the level of Olympians, harder still for women, and, in my estimation, hardest for female boxers who not only must seek out opportunities for support during their four-year odyssey for a place on the team, but must also endure the slights and prejudices of a wider public that rarely support women in the ring. That it has come down to the three contests tonight is miraculous, but let us not forget all of the days and nights of training and competing in rinky-dink rings with barely enough money for car fare. That USA Boxing has developed a cadre of elite fighters it supports for this go around is fantastic, but there needs to be more. More excitement, more opportunity and much, much more respect. Watching many of these young women compete at the National Women’s Golden Gloves in July, my heart was overwhelmed by the bravery and humbleness they exhibited both in the ring and out. As a body sport, boxing teaches humility and to step inside the ropes is to exhibit physical and mental strength that is honed through thousands of hours of hard, hard work. So whatever happens tonight, who ever winds up our Olympians, do applaud all of the women who have fought and dreamed. They deserve it. Flyweight Christina Cruz (l) with the win over Giavonna Camacho in the challenger battle, has earned a rematch against Marlen Esparza on Friday. Both will battle for a spot in the finals against Virginia Fuchs. With the first group of Finalists set – Virginia Fuchs (112 lbs. ), Mikaela Mayer (132 lbs. 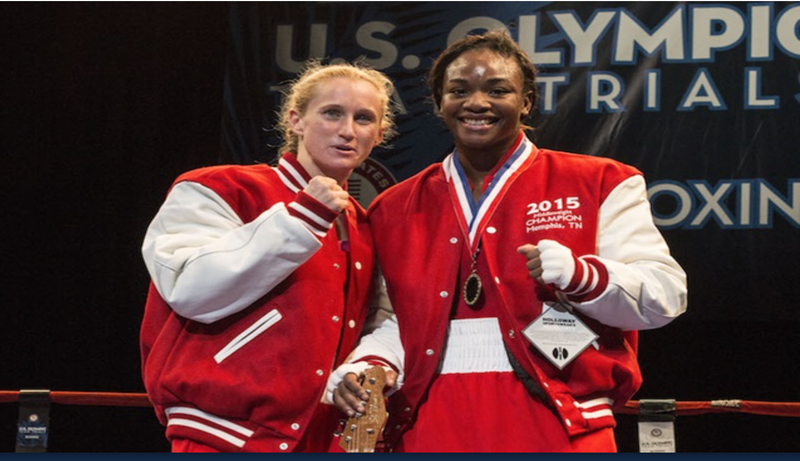 ), and Claressa Shields (165 lbs.) – the first challenger bracket bouts were held last night in the double-elimination Olympic Trials Tournament. The winners fight again tonight for the right to box in the finals on Saturday night. The first of the three contenders for Friday night action is Christina Cruz (112 lbs.). Cruz is 32 years of age and will have her second shot at doing battle with 2012 Olympic Bronze medalist Marlen Esparza whose stunning loss to Ginny Fuchs has put in her the challenger bracket. Cruz lost to Esparza in the second round, but given how much she has amped up her game with her renewed focus, training and diet, she might well push through Esparza on Friday. Cruz handily defeated Giovanna Camacho for the second time to gain the right to keep on challenging for a berth in the finals. Jajaira Gonzalez (132 lbs. ), the 18-year-old who pushed hard in her battle against Mikaela Mayer in the second round only to fall in defeat, used pressure and aggression to defeat Rianna Rios 3-0. Gonzalez will face Tiara Brown, in what promises to be a terrific battle of wills between these two fighters, for the right to face Mayer in the finals. Tika Hemingway (165 lbs.) narrowly defeated veteran Franchon Crews 2-1. Both fighters had competed in the Olympic Trials in 2012. Hemingway used aggression to finally muscle through to take the contest though Crews was able to gain the momentum throughout the bout. Hemingway will take on Raquel Miller in the challenger contest for the right to fight Claressa Shields in the final. Virginia Fuchs (l) with the huge upset win over Marlen Esparza to secure a spot in Saturday’s Olympic Trials Final. Esparza will have the chance to earn a challenger berth if she wins on Friday. Talk about a big night! Flyweight boxer Virginia Fuchs, lightweight Mikaela Mayer, and middleweight Claressa Shields each clinched a berth in the upcoming Olympic Trials finals on Saturday night. All three have been undefeated in the tournament to date–earning them the right for a corner in the finals and two days off. In this double elimination tournament, there will be two sets of Challenger bouts to chose the other finalist for Saturday night. The first set will be Thursday, with the winner in each weight category facing Esparza, Brown and Miller on Friday. 112 lbs/challengers bracket: Giovanna Camacho, Colorado Springs, Colo., vs. Christina Cruz, New York, N.Y.
132 lbs/challengers bracket: Rianna Rios, Colorado Springs, Colo., vs. Jajaira Gonzalez, Glendora, Calif.
165 lbs/challengers bracket: Franchon Crews, Baltimore, Md., vs. Tika Hemingway, Brackenridge, Pa.
Claressa Shields (r) takes the second round win over Tika Hemmingway in a tough, hard fought battle at the women’s boxing Olympic Trials in Memphis, TN on October 27, 2015. Another exciting night of results with teammates and old foes Marlen Esparza and Christina Cruz battling for supremacy in the flyweight division in a close contest that still broke 3-0 to Esparza. Other winners included Alex Love who remained in the contest by DQ when opponent Jamie Mitchell came in overweight. Both Tiara Brown and Mikaela Mayer won as well. Brown fought a decisive 3-0 win over Rianna Rios, while Mayer fought hard against an onslaught from Jajaira Gonzalez to take the 2-1 split decision. Brown and Mayer will fight each other tonight in third round action. Leaving the contest in the lightweight division is veteran boxer Lisa Porter. She will be missed. In the middleweight division Claressa Shields fought a tough, hard fight against Tika Hemingway with haymakers that writer Sarah Deming (@SarahDeming), who is live tweeting the event, described as coming “all the way from Flint” to take the unanimous win. Raquel Miller defeated Franchon Crews in a split decision, as this is the HH Diva’s first loss in the contest, she has a berth in the third round. 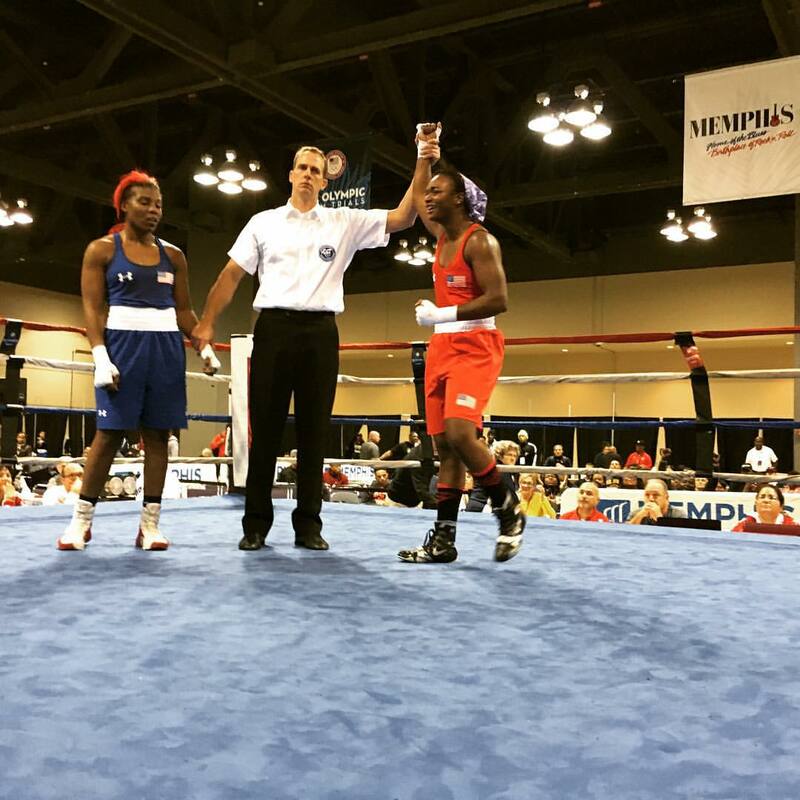 Tiara Brown (l) handily defeated Amelia Moore 3-0 on the opening night of the USA Boxing 2016 Female Olympic Trials in Memphis, Tn. 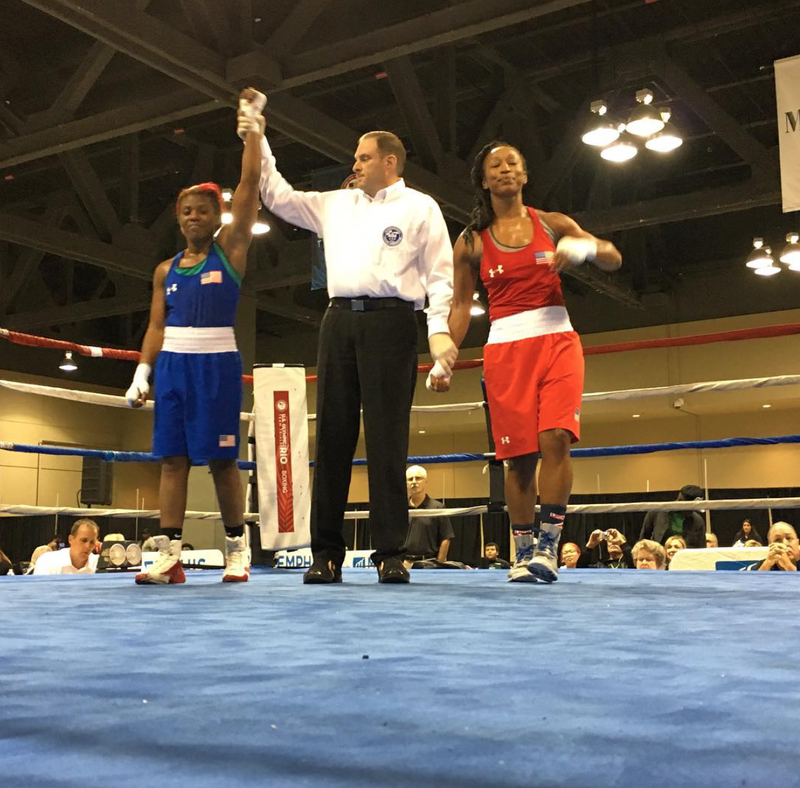 The Olympic Trials for the 2016 USA Boxing female boxing team got underway on in all three of the Olympic weight classes: Flyweight (112), Lightweight (132) and Middleweight (165). As expected 2012, Olympic Gold medalist, Claressa Shields easily defeated her first round opponent, Naomi Graham, 3-0. 2012 Bronze medalist, Marlen Esparza, also won 3-0 over Melanie Costa. In the lightweight division, current USA lightweight champion Mikaela Mayer won a split decision, 2-1 over Stalacia Leggett, and the number two seeded fighter, the always tough Tiara Brown defeated Amelia Moore decisively by the score of 3-0. 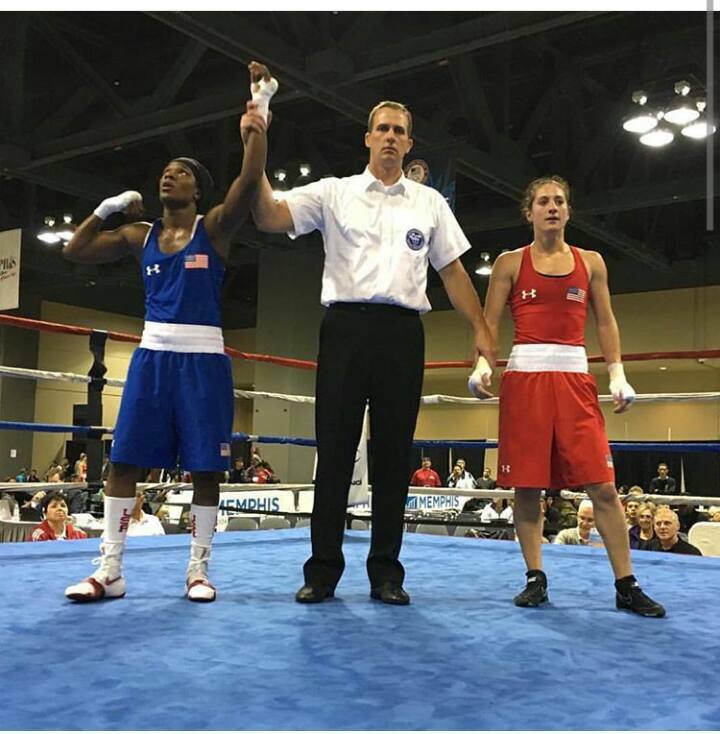 Alex Love, a tough scrappy fighter from the US Army boxing team had a tough loss to an equally scrappy Virginia Fuchs who took the split decision 2-1. 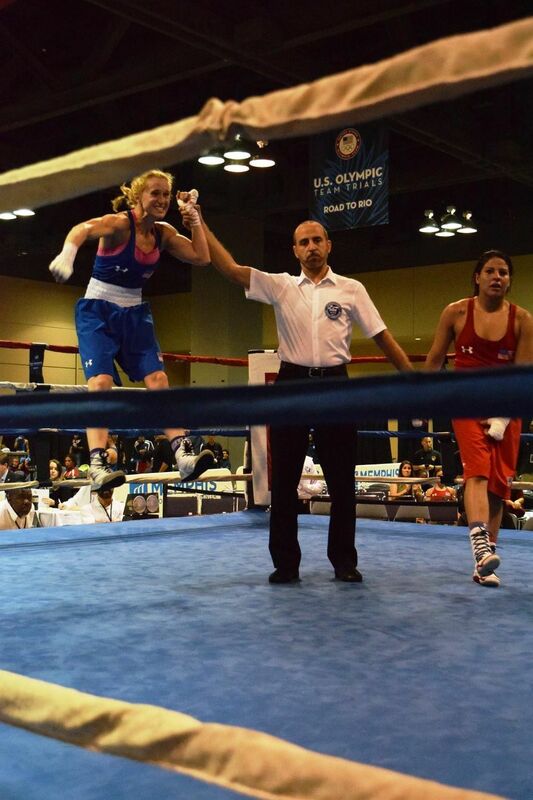 Other winners included New York City’s hometown girl, Christina Cruz who won 3-0 (112 lbs. ), and in the middleweight division, a particularly strong division with a slew of tough competitors, Tika Hemingway, Franchon Crews and Raquel Miller all came away decisive winners. Tuesday’s bouts, however, will give the women who faltered last night an opportunity to continue in their quest for a berth! Tuesday’s bout sheet has some tough match-ups so enjoy the fireworks! 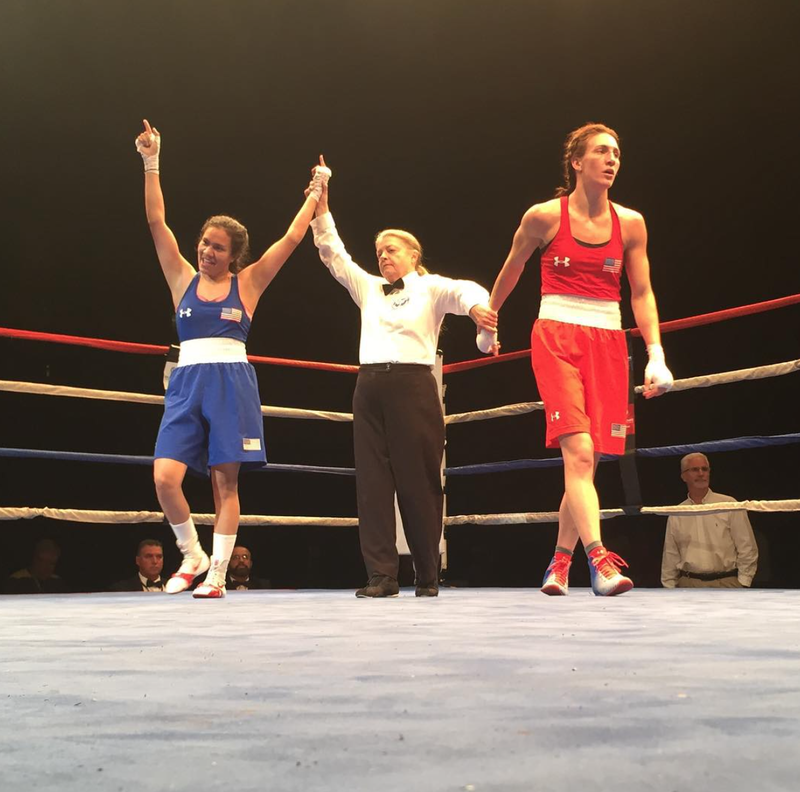 Olympic Team Trials for Women’s Boxing – Rio 2016 ! 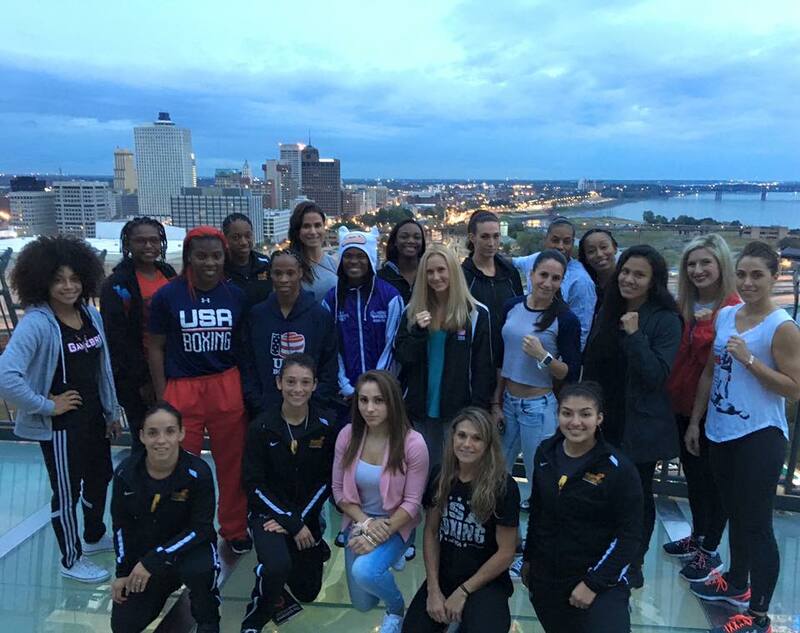 The Women’s USA Boxing Olympic Team Trials to represent the United States at the Rio 2016 Olympics starts today in Memphis, TN. 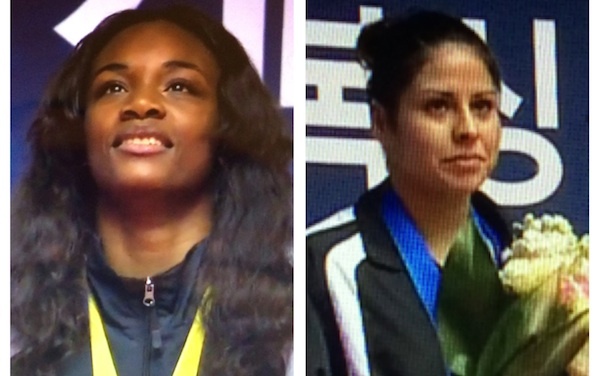 The United States 2012 Flyweight Bronze Medal winner, Marlen Esparza and the United States 2012 Middleweight Gold Medal winner, Claressa Shields will both be competing for a spot in the 2016 Games. For further information and for online view go to the USA Boxing website!